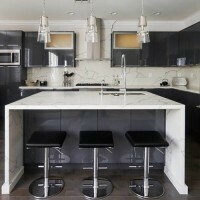 It is easy for anyone to get modern kitchen cabinets in Los Angeles. 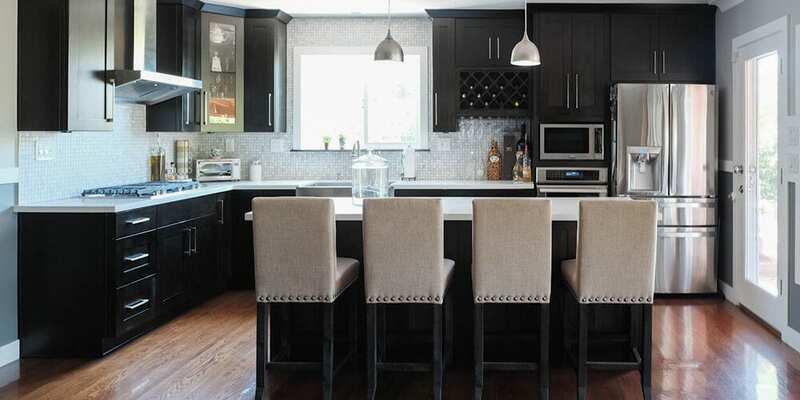 The average homeowner looking to upgrade their kitchen will want modern cabinets. 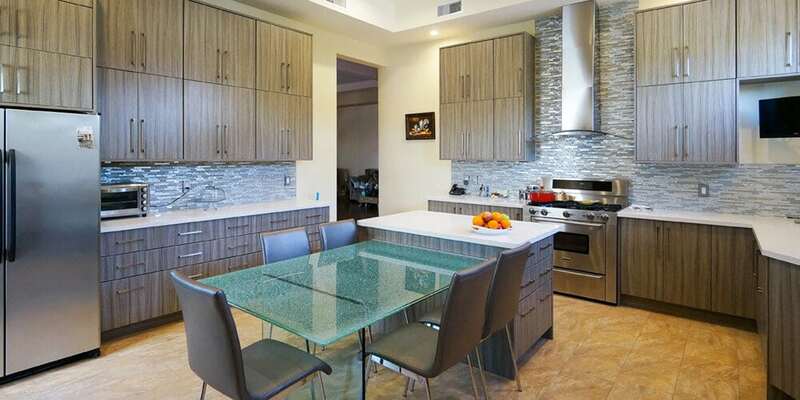 A builder that has a new neighborhood in mind will want this style of kitchen cabinets. 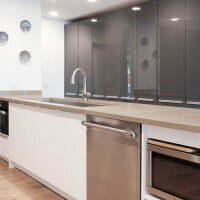 Anyone wishing to sell their house for profit will benefit from modern cabinets as well. New homebuyers are looking for that modern style in the house that they purchase. They want to see a complete upgrade because they don’t want to do the work themselves. The process of buying their new home is stressful enough for new homebuyers. They don’t want to deal with updates as well. House’s value is based predominantly on the way the kitchen and the bathrooms look. 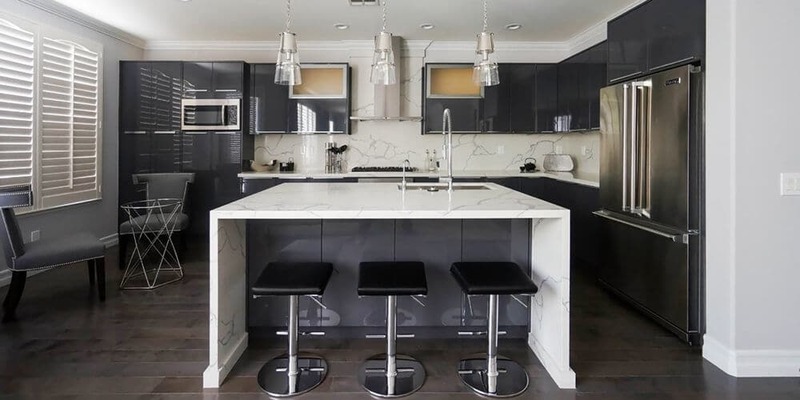 For the seller who wants to sell fast, make sure that you get modern cabinets in Los Angeles. Old cabinets just won’t do anymore. Kitchens need to be organized and serviceable. 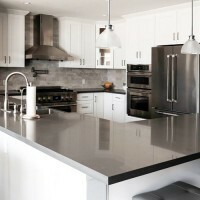 When a kitchen is cluttered, nobody wants to get in there and cook or spend time together. A well-organized kitchen is functional and beautiful. All cooks expect to be able to find their ingredients, store their pots and pans, and create delicious food in an efficient kitchen. Modern kitchen cabinets make this a reality. Modern designs and styles offer great innovations like Lazy Susan corner cabinets, and wall cabinets with horizontal doors that swing up and out of the way rather than side to side like traditional doors. Many of these innovations are aesthetic or functional. 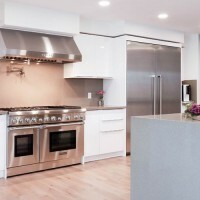 Many of the new features and design elements that are found in modern kitchens allow small kitchens make good use of their space and create an efficient workflow. 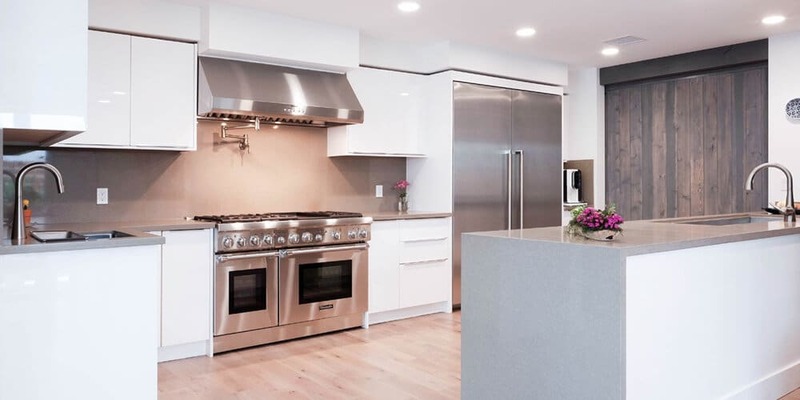 For example: In a small kitchen prep room and counter space is scarce, so many modern kitchens will use micro hoods or wall cabinets built to hold the microwave so that it doesn’t take up counter space. 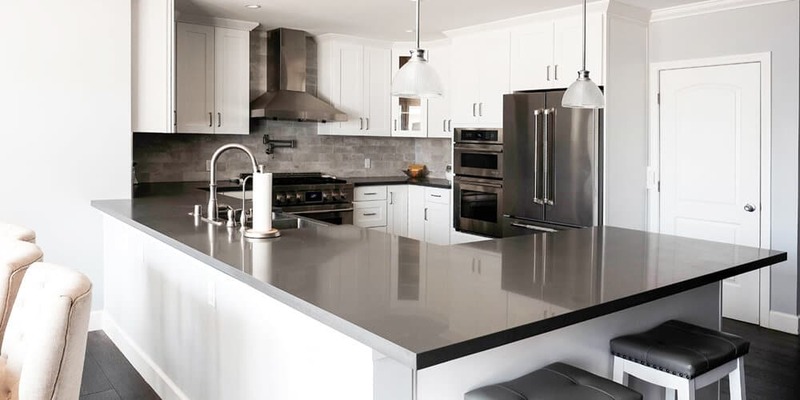 For the same reasons, many modern kitchens will use smooth flat induction cooktops and ranges so that when you are not cooking the surface can be used as functional counter space. Not only are modern cabinets functional but they are also beautiful. They are created with design in mind. They make a kitchen open and inviting. People want to not just cook in a modern kitchen but also gather and entertain. 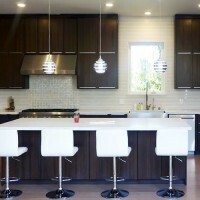 The kitchen is a great place to have guests sit around and visit, eat, and drink. When that kitchen is upgraded, it is a more comfortable place to be. As trends continue to change and shift the kitchen has become more of a social space and less of a secluded work and prep area. 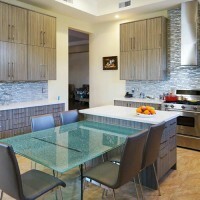 Modern kitchen designs often incorporate islands and peninsulas with bar areas where several people can sit and enjoy a meal or talk and socialize while one person is preparing a meal or snack. This is yet another great reason to get modern kitchen cabinets in Los Angeles. Flat panel and frameless front door panels are a popular choice. Just make sure that the rest of the kitchen matches your new modern cabinets. You may want to install new countertops to make your cabinetry pop. 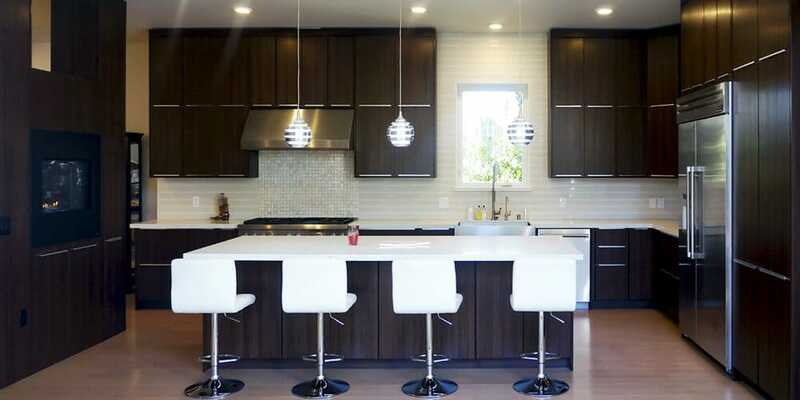 Sleek modern cabinets will clash with outdated colorful countertop tiles from the late 70’s. In addition, it’s important to have the right kind of flooring and paint colors. It can be frustrating to look at a kitchen after new beautiful cabinets have been added that seem out of place. 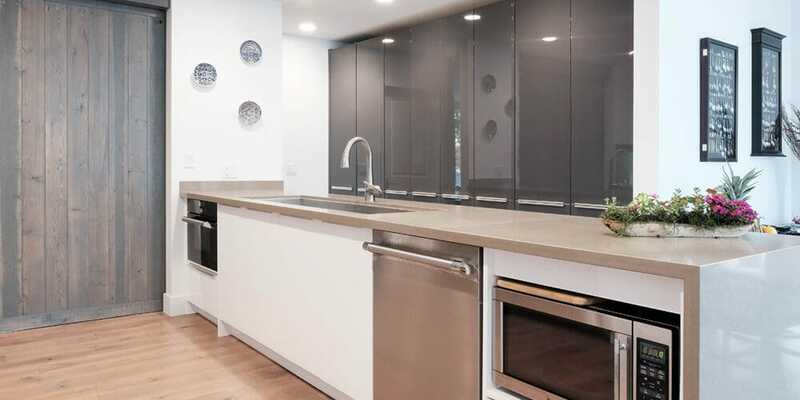 Design experts can help you with these details when you purchase your modern cabinets at Cabinet City.